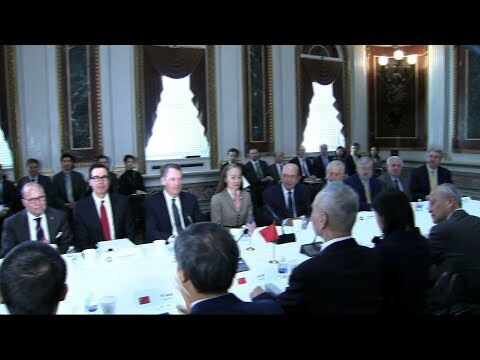 WASHINGTON (AP) — The U.S. and China resumed high-levels talks Thursday aimed at easing a trade standoff that has unnerved global investors and clouded the outlook for the world economy. The world’s two biggest economies are locked in a trade war that President Donald Trump started over allegations that China deploys predatory tactics to try to overtake U.S. technological dominance. Beijing’s unfair tactics, trade analysts agree, include pressuring American companies to hand over trade secrets and in some cases stealing them outright. The Trump administration has warned it will escalate its import taxes on $200 billion in Chinese goods from 10 percent to 25 percent if the two sides haven’t reached a resolution by March 2. But Trump in recent days has signaled a willingness to extend the deadline if negotiators are making progress.